Eeeek Christmas in on the way (I don’t know why I’m really panicking – I love Christmas and I’m mostly organised for it) but it isn’t too far away – are you sorted? One of our traditions at Christmas is for the children to unwrap some new pjs and then we’ll watch a Christmas film after going to a carol concert. Then we set out a plate with a mince pie for Father Christmas and a carrot for Rudolph. 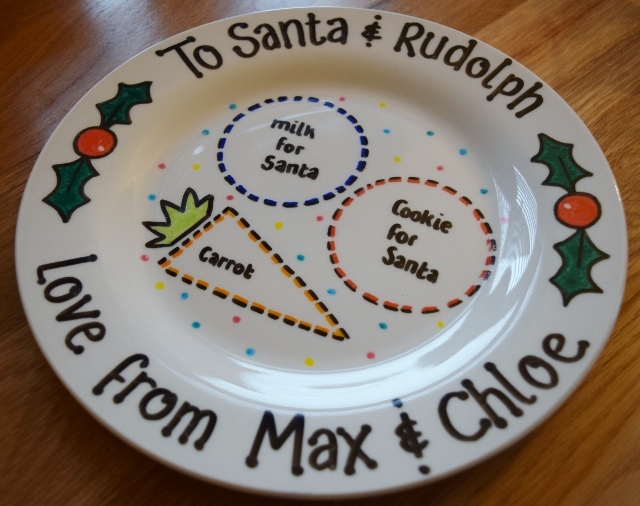 I had never seen Christmas eve plates until last year and I loved the idea of them – they are so cute and I knew the children would love to it. We were sent one to review from Lovingly Crafted and the children were so excited. Lovingly Crafted make bespoke, handmade creations for al different occasions. When it is actually Christmas eve the kids are going to be beside themselves with excitement – Max was so excited that it had his name on it too (if you read often on my blog you will know that I love personalised things)! It is a really cute idea and if you look after it well, it will last year after year. It really adds some excitement and gets the children involved in preparing things on Christmas eve. The plate itself is good quality and the decoration is very detailed and neat. The plate is washable and the decoration has been made with non-toxic and food safe materials – bonus. 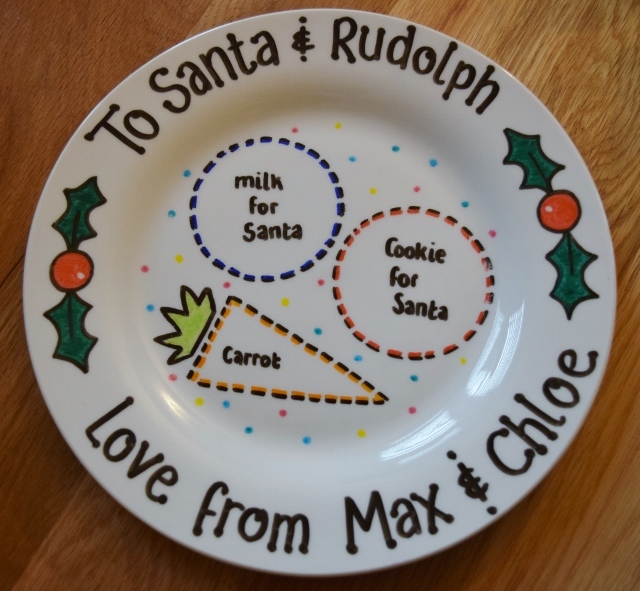 The Christmas eve plate, to come personalised, is £7.50 (plus postage) and looks best with up to four names on it. I think that £7.50 is such a good price and would make a lovely gift, for your children, or equally nieces or nephews etc. Have you seen Christmas eve plates like this before? *the plate was gifted in exchange for an honest review. All opinions are my own. I think it is such a cute idea – obviously only works for a few years though! Such a sweet idea. I’ve seen some plates like this before but this is definitely one of the nicer ones I’ve seen – thanks for sharing! We bought a special Christmas plate when Ben was a baby but it got broken last year and was fixed together with blu tack – I’m not sure how feasible that remains! I have seen so many of these plates being done and they look absolutely ridiculous, but these plates are so well done and don’t look tacky at all! I would love one of these for my little man, he gets a Christmas Eve box and having that in it would be great! Thanks for your post, I’ll be checking the people,who made this out for sure! wow ive never seen these before, they look amazing! Such a great idea – the kiddies would absolutely love this! I like how they can be personalised, – makes it more special!